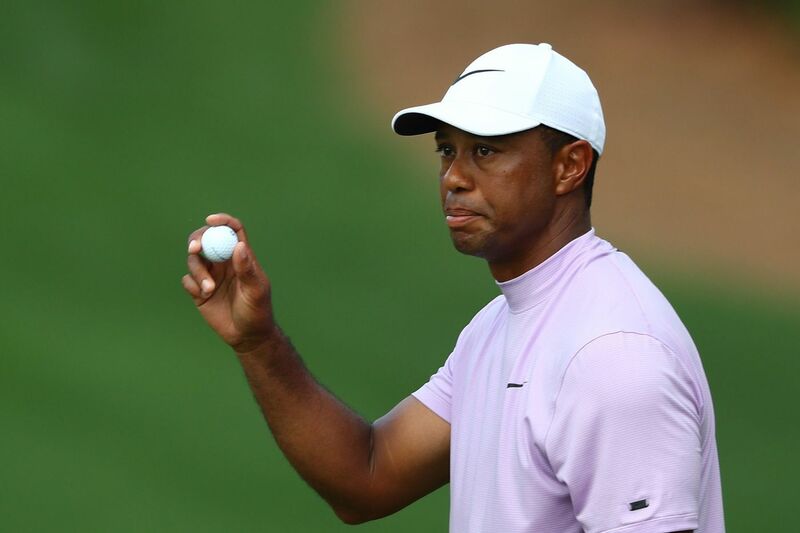 Tiger Woods is two shots behind leader Francesco Molinari heading into Sunday's final round of the Masters. » READ MORE: Tiger Woods has won his fifth Masters, and his first since 2005. Not everybody is hoping Tiger Woods wears green again on Sunday. On Tuesday, an unidentified bettor went into a William Hill sportsbook in Southern Nevada and put $85,000 on Tiger to win the Masters. That guy definitely wants Tiger. Woods, 43, hasn’t won a major since the 2008 U.S. Open, and hasn’t won at Augusta since capturing his fourth title there in 2005. His odds prior to the tournament were 14-1. The bettor stands to win $1.19 million. Even if impending weather has forced a dramatic moveup of Sunday’s tee times, there will be plenty of interest to see if Tiger can come from two shots back to win his 15th major. But for every bettor, there’s a bookie. Joe Asher, the CEO for William Hill’s U.S. operations will be cheering the other way. Heading into Sunday, Tiger’s odds were down to 3-1. Leader Francesco Molinari, who shot a 66 on Saturday to move to -13 is at 2-1 odds. Tony Finau, who bagged a 64 on Saturday and is tied with Tiger at -11, is 6-1. Those three will be in the final group, which will tee off at 9:20 a.m. on CBS. Some golf historians assert that a Woods win on Sunday would top the unlikely green jacket Jack Nicklaus claimed (with a winning score of -9) in 1986 as a 46-year-old. It sure would for the mystery bettor, who stands to hit William Hill for the largest golf payout in that company’s history. “You win some, you lose some,” Asher said.